Keeping your family looking sharp is no cheap task. Women’s fashion is often overpriced, while kids seem to outgrow their newest outfit within a week. 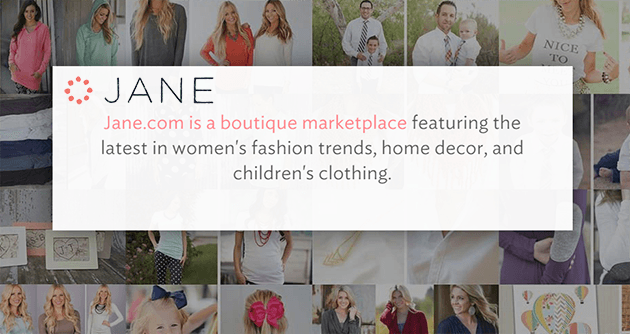 Jane.com is dedicated to bringing high-end fashion to women and kids at a reasonable price. Shoppers can find unique and affordable products from many different vendors all in one convenient location. 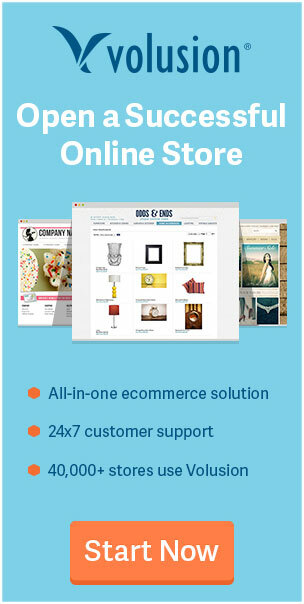 Jane.com is an online retail platform that allows both small and large-scale businesses to sell their goods and expand their customer base. Some vendors hand make their products, which allows for the possibility of extensive customization and personalization. The site primarily sells clothing for women and children, but you can also find jewelry and home décor. Every vendor provides a detailed description of each item that they sell on its product description page. 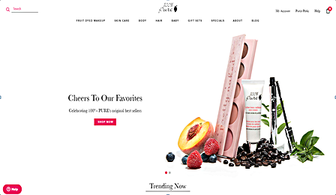 Here, site members can also see the full retail value of a purchase and how much they are saving by shopping through Jane.com. The quantity sold tells customers how popular an item is with other shoppers, and also whether or not the item is close to selling out. Each Jane.com sale only lasts for a limited amount of time, and popular products sometimes sell out before the sale is over. Everything sold on Jane.com is marked down from its original value, making high quality items affordable. You can find unique fashion and home décor at up to 80% off. 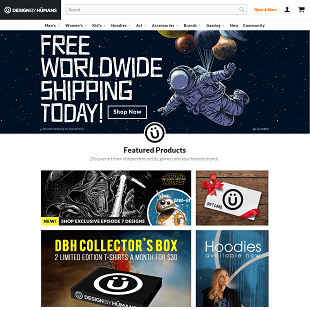 The site does not offer promo codes seeing as items are already heavily discounted. 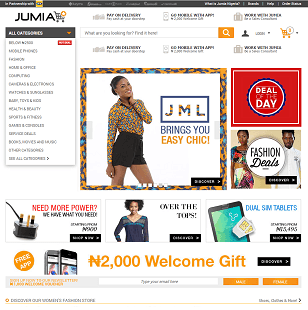 Jane.com also has weekly giveaways, where site members can win cash prizes or store credit. With a new giveaway beginning every week and deals changing each day, it pays to keep on top of the site’s latest news. You can do this by signing up to receive email notifications or by following Jane.com on its social media feeds. The site is active on Facebook and Twitter as well as on Pinterest and Instagram. 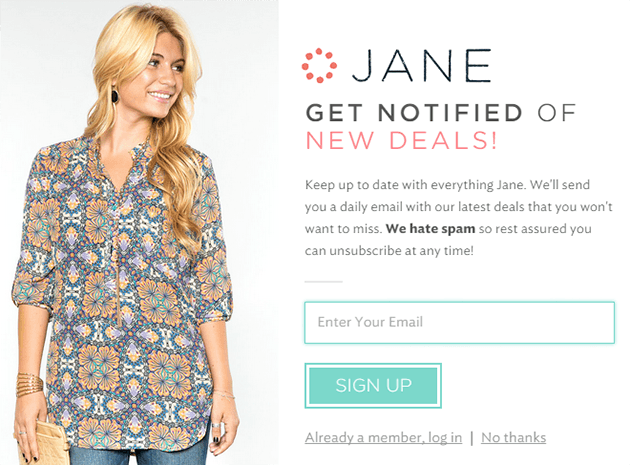 Customers who stay connected with Jane.com through social media can be the first to know about new deals and products or upcoming sales. Many items are available in limited numbers, so it pays to take advantage of a sale early. Occasionally popular products will sell out early. Jane.com also operates a blog that provides members with news about the website as well as posting educational articles. There is not only a section dedicated to the latest trends in the fashion world, but also how-to articles, craft ideas, and recipes. The blog’s resources are geared mostly towards young women, but there is information that can also be useful for mothers and children. Some customers experience issues with shipping and delivery when ordering from Jane.com. Shipping is fairly expensive and the site does not offer any free delivery promotions. Most vendors charge an initial fee for the first item, and then tack on a smaller fee for each additional item added to the order. If you are buying products from multiple sellers, the shipping cost can become significant. Despite the high shipping costs, customers have still received items late, or worse, not at all. Unfortunately Jane.com has little control over shipping, which is handled by individual sellers. Some merchants have a better reputation than others, so it is important to check out a seller’s profile page before placing an order. Refunds and exchanges are also handled by individual merchants. Again, it can be difficult to process any returns through an unreliable seller. There is very little seller accountability, so it is up to the customer to be wary of buying products from a company with a bad reputation. The Jane.com customer support team can be reached via email at support@jane.com. 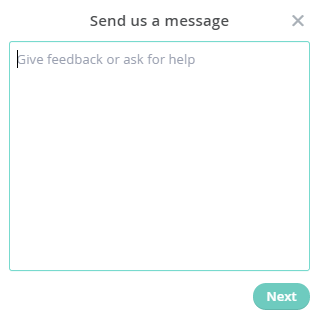 You can submit questions about products or ask for help placing or tracking an order. If you are trying to resolve an issue with a recent purchase, it may be more effective to contact the customer support team of the vendor. You can find information such as an email address or phone number on a seller’s profile page. [+] Q: Can I return or exchange an item purchased through Jane.com? A: Anything that is personalized or custom made cannot be returned. For any other products, you can contact Jane.com within 14 days if you are not satisfied and arrange for a return or a replacement. [+] Q: How long do deals run? A: All deals run for 72 hours, but some items sell out early. It is best to purchase an item at the beginning of a sale. [+] Q: Can I buy a product that is sold out? A: Unfortunately, sold out items can’t be purchased. If you are interested in something that is no longer available, send customer support an email. The site will bring back items if there is enough of a demand. [+] Q: Does Jane.com offer international shipping? A: Unfortunately Jane.com does not ship internationally at this time. A few sellers are willing to ship to Canada, but generally most sellers will only ship to locations within the United States. [+] Q: Does Jane.com have an app? A: Yes, you can download the Jane.com app for the iPhone. 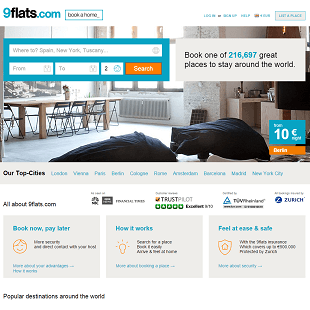 Currently the site does not offer an Android version of its app. WHY SHOULD I USE JANE.COM? Jane.com is the ideal destination for the fashion conscious woman on a budget. The site sells clothing from hundreds of different vendors for women, children and babies as well as unique jewelry and home décor. Everything is heavily discounted from its original price, helping site members to save money. Jane.com connects its members with innovative and talented designers so that customers save and vendors build their brand. This encourages new artists to sell their creations through Jane.com, broadening the diversity of products available through the website. This site is perfect for mothers with toddlers and young children. Moms can find new clothes for themselves, and also stock up on outfits for their kids without breaking the bank. Children outgrow clothes in no time at all, so it’s important to find a retailer that sells kids garments in a variety of sizes at a low price. Deals only run for a short period of time through Jane.com, so its important to keep current with the latest offers going on. Following the site on its Facebook or Twitter feeds will keep you in the loop about what daily offers or weekly giveaways are happening. If you don’t manage to catch a deal until the very end, the item you want might already be sold out. Impulse buying isn’t always advisable, but it’s important to snap up anything that you like immediately when shopping through Jane.com. Even if a sale still has a day or two to go, there is a chance that nothing will be left by then. Always make sure that you take a minute or two to look at the seller’s profile page or some online reviews to see if the company is reliable. A vendor with a bad reputation might not ship your item to you in the promised time frame, or may make it difficult for you to return unwanted goods. 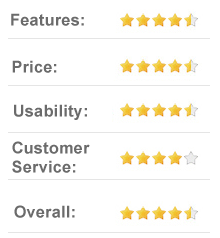 Sticking with reliable sellers will make your shopping experience with Jane.com much less stressful. Jane.com is a user-friendly site that connects its members with unique designers to bring shoppers style on a budget. From a mom dressing her kids for school to a college student hitting the town, there is something available for everyone at Jane.com.